Excessive waiting time in an emergency room can be medical malpractice. Patients who are coming to an hospital ER with serious personal injury or disease and who have too wait an excessive time have a higher risk to suffer from permanent injuries or to die. At the Montefiore Weiler/Einstein Hospital the average waiting time for the Emergency Room is of 107 minutes. According to Propublica this is the second worst in the entire state of New York. The average wait time in New York is 37 minutes and nationnaly it’s 28 minutes. 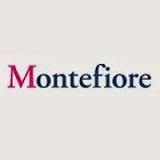 Bronx Assemblyman Michael Benedetto will hold a conference Thursday outside the center to push the Montefiore-operated hospital to provide answers to the community.